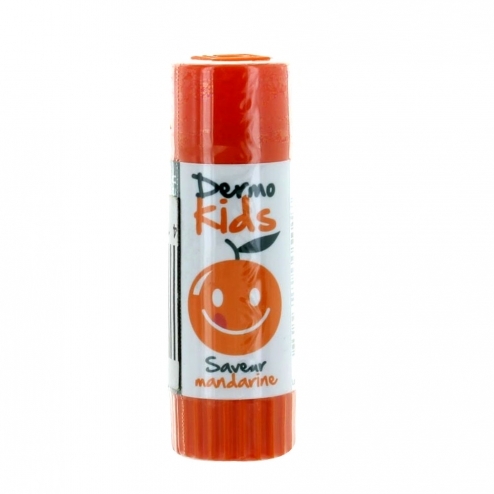 The Indian Stick lips Dermophil Dermo Dermo Kids Kids protects and moisturizes dry and chapped lips. The cheese with a smooth texture, very soft, is colorless. Its formula high tolerance is dermatologically tested. Unmissable, the stick Dermophil Indian lips enhances the protection of lips cold, wind and drought, and prevents dehydration. The lips are soft and hydrated. Formula INCI: Hydrogenated Polysobutene, Oryea Sativa Cera, Cera Microcristallina, Butylene Glycol Cocoate, Butyrospermum Parkii Butter, C10-18 Triglycerides, Cetearyl Stearate, Polysilicone-15, Parfum (Fragrance), butylmethoxydibenzoylmethane, Tocopheryl Acetate, Glyceryl Undecylenate, Ammonium Glycyrrhizate, Bisabolol, Limonene, CI 16035, Cinnamyl Alcohol, Pentaerythrityl Tetra-Di-t-Butyl hydroxyhydrocinnamate, Cinnamal, Citronellol, Eugenol, Geraniol, Tocopherol.